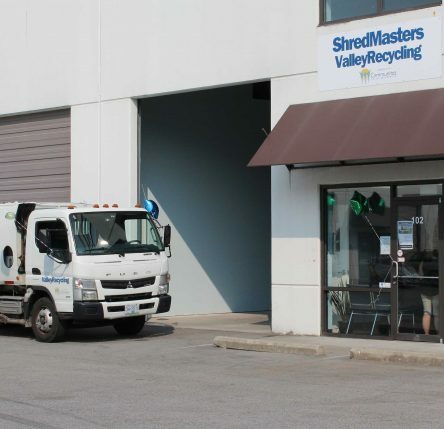 ShredMasters and ValleyRecycling provide shredding and recycling services that are affordable and socially responsible. The two businesses are part of Communitas Social Enterprises (CSE), providing employment and training to individuals with developmental disabilities, mental health challenges or acquired brain injury. 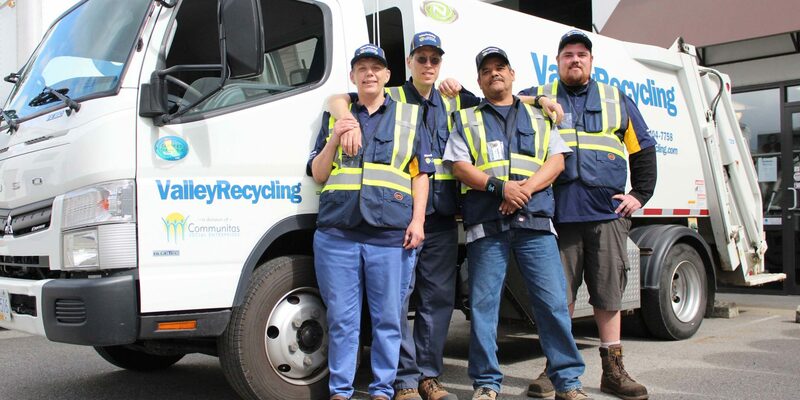 While both businesses are successful, ValleyRecycling is really growing and CSE is facing a challenge: one of the enterprise’s two recycling trucks is aging and needs to be replaced. An added “problem” is that there are more potential customers who have already expressed an interest in using CSE’s recycling services but without another truck, John says they simply cannot take on any more work. And work here means more than just a job. Stewart (photo: third from left) has been with CSE for 3 years and says it’s been a job unlike any he’s ever had before. Stewart graduated from the Support Towards Employment Program (STEP), a program of Communitas Supportive Care Society, that provides employment support and job search training to people referred by Fraser Health. 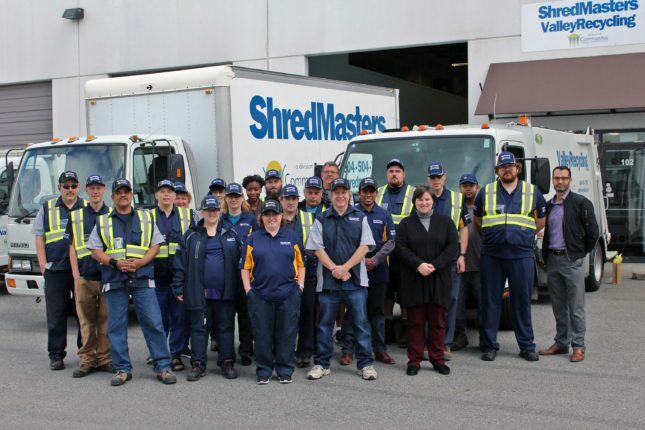 In addition, STEP offers work experience through ShredMasters and ValleyRecycling. After completing the STEP program, Stewart was hired by ShredMasters. Having meaningful work in a positive environment has been vital to his mental health. Stewart loves his job so much that he wears his vest and nametag home. Stewart and his colleagues at CSE strive to provide excellent service to their customers. Having reliable tools is vital to their success. A good, used, recycling truck costs $60,000 and Communitas is accepting donations towards the purchase of this much-needed vehicle. Make a gift today! Click on the button and designate your gift for "recycling truck". 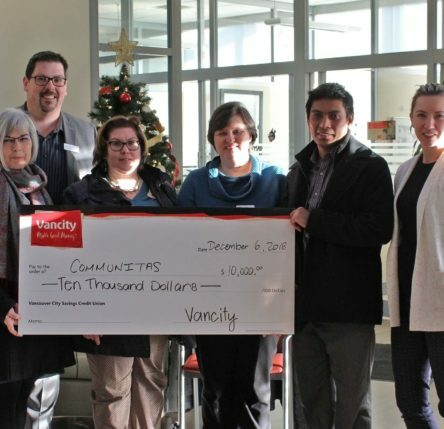 A $10,000 grant from Vancity will support people like Melissa who is currently participating in our Customer Service Training program. 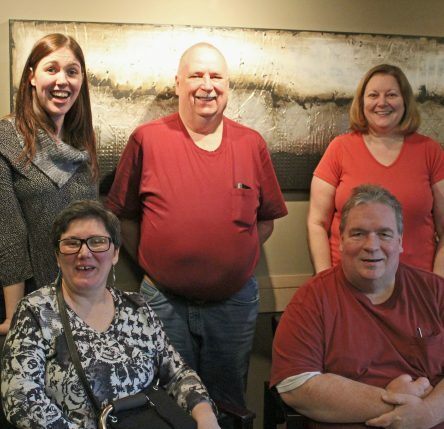 March is Brain Injury Awareness month and those who live with Acquired Brain Injury (ABI) are grateful for the opportunity to help others understand the realities with which they live.